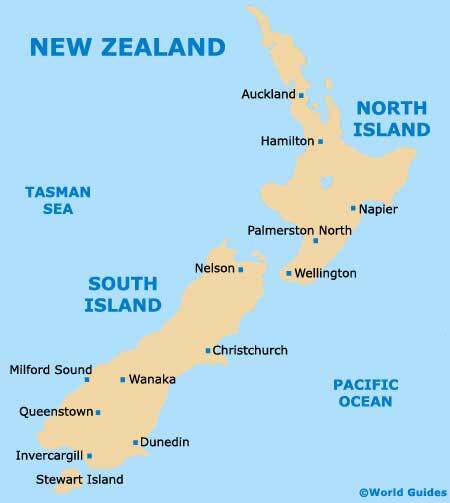 The New Zealand capital is located within the Wellington region, where it resides on the North Island's most south-westerly tip, next to the Cook Straight. 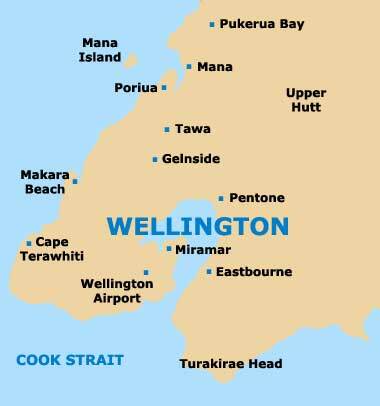 Wellington forms the third most densely populated area of New Zealand, with its metropolitan region encompassing the Kapiti Coast, the Hutt Valley (Lower and Upper Hutt), Porirua and Wairarapa. Forming the city's principal business thoroughfare, Lambton Quay runs alongside the coastline, while the very heart of New Zealand runs from the northerly side of the Lambton Quay (the railway station), being bounded by Cambridge Terrace, Kent Terrace and the historic Thorndon district. Fronting the Jervois Quay waterfront, alongside the Oriental Parade and Cable Street, is a particularly vibrant part of Wellington, thanks in no small part to considerable investment and revitalisation in recent years. Queens Wharf has also seen a number of positive changes and improvements, while the Oriental Parade forms a scenic and extremely popular seafront promenade. For shopping, consider spending time at Courtenay Place, Manners Street, Queens Wharf or Willis Street, while for maps of the city, New Zealand in general and popular tramping routes, head to the Map Shop on Thorndon Quay.